Stock due Mid May, pre-order to reserve yours now! The BERG Elite range is now available in the oval shape which offers fantastic trampolining comfort, optimum safety and durability. 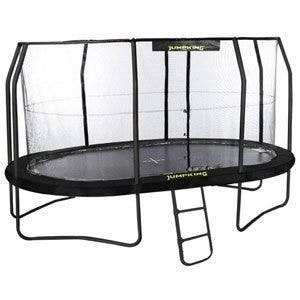 Do you want the very best oval trampoline? In that case you should go for the BERG Grand Elite! 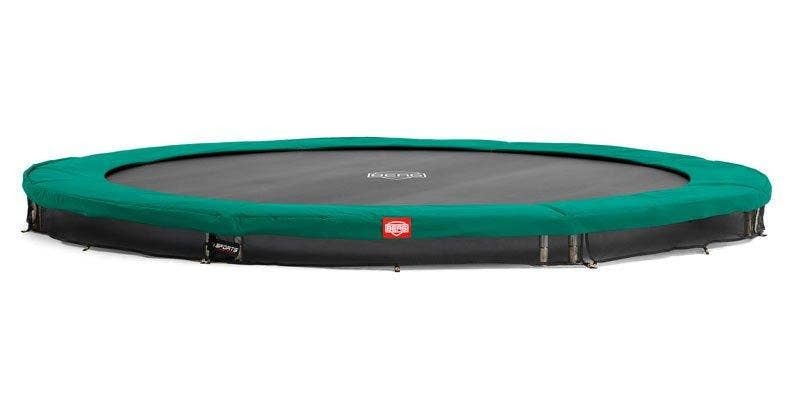 The oval shape combines the advantages of a round and a rectangular trampoline; the efficient strength of a round frame and the large jumping surface of a rectangular trampoline make trampolining not only great fun but also safe! The solid protective edge and its long-term attractiveness make the Elite unique. It is super safe and made of the very best and strongest material on the market, which ensures that the protective edge will last for many years and is optimally protected from exposure to the sun. 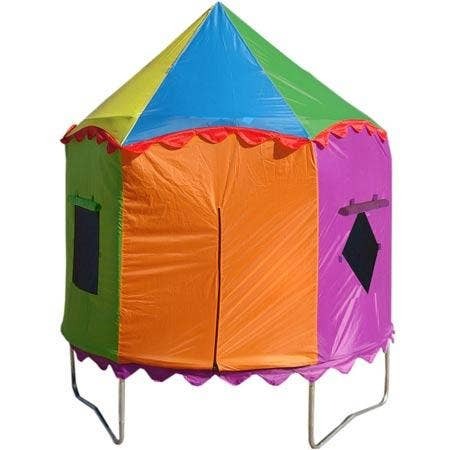 The curved poles make the Safety Net Deluxe with self-closing entrance extra strong and safe. The extra wide and thickly padded protective edge is made from the best materials and the top quality springs make this truly the most 'Elite’ trampoline. 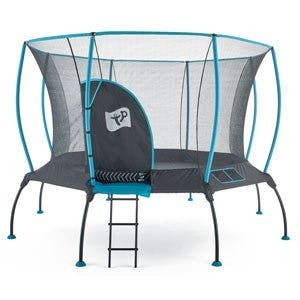 The innovative TwinSpring System consists of a large number of obliquely placed springs which provide a unique jumping characteristic for the trampoline; so ensuring maximum safety and comfort whilst bouncing. The springs themselves provide the optimum balance between flexibility and strength. 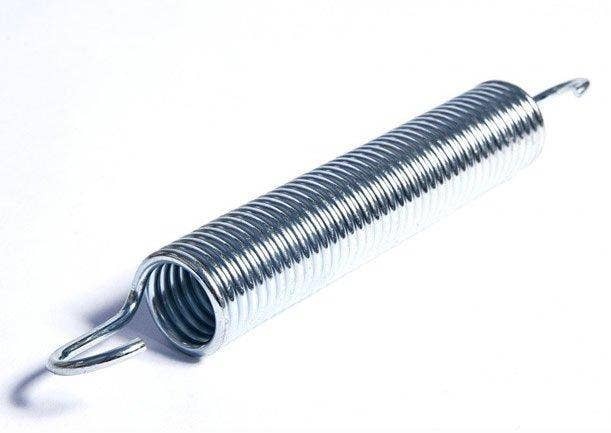 All BERG springs are highly elastic, flexible, and finished with a thick, rustproof layer of zinc. 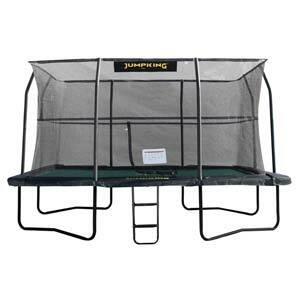 The trampoline legs are double coated providing extra protection for the frame as well as a super smart appearance. It has a firm frame that has been reinforced with eight connecting pieces called T-sections. The BERG Elite range of trampolines is of such a high specification that they offer a 13 year warranty on the frame and 5 years on the pads, mat and springs. The Elite padding has an extremely long lifespan wich keeps it’s good looks 2-3 times longer than a Champion padding. The canvas is finished with a glossy coating to provide a luxurious appearance. The coating not only looks nice, but it has a purpose because of the UV-blockers it contains. The glossy surface finish reflects the light and UV instead of absorbing it, which makes the canvas better resistant to decoloration and degradation caused by the influence of UV light. 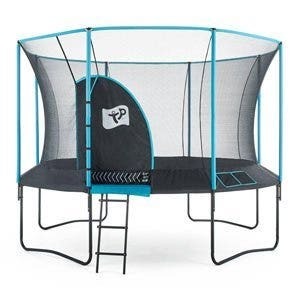 The Elite padding fits super tight around the trampoline. This helps prevent wrinkles ensuring they always looks nice and tidy. The design of the padding has a much tighter fitting than the one on the Champion models.